Described as “both a memoir and a handbook for living,” this collection of my most popular published essays and columns, Writing Home, is now in its second printing. 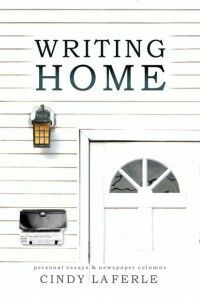 Awarded several prizes for creative nonfiction, the book is for everyone who has ever attempted to combine work, parenthood, and homemaking. Detroit-area readers can purchase copies at Yellow Door Art Market in Berkley. The Kindle version is also available on Amazon.